In the last few weeks, or in all fairness, since the 100 in May, I really haven't done much Monday to Friday training. I manage a few days here and there, but then lapse into laziness and succumb to the lure of the sofa! Nevertheless, I've still been racking up the races, and my most recent ones were the Ranscombe 8 Hour Challenge and the 50km Chiltern Challenge. Held at the Ranscombe Farm Nature Reserve, the 8 Hour Challenge was my first timed event, and it went brilliantly. I had been nervous about doing laps, wondering if I would lose interest half way through, and find it too easy to drop out, knowing that I would still be a listed finisher, but as it turned out, I felt very committed to running for the full amount of time and was happy running 3.8 mile laps around an interesting course. I was surprised at how many people were there who had approached the event differently to me, and looked on it as an opportunity to run a particular distance during the time period. It hadn't occurred to me that people would think about it like that, as in my mind it had been less about distance and more about keeping going for the whole 8 hours, but it was great to see lots of new faces, and people running who wouldn't have been there if it had been a regular ultra. In the end, despite taking a good few laps to warm up and for my legs to stop hurting, I managed to get going in the end, and paced myself to run 10 laps, taking pretty much the whole time. 38 miles done in about 7:55. 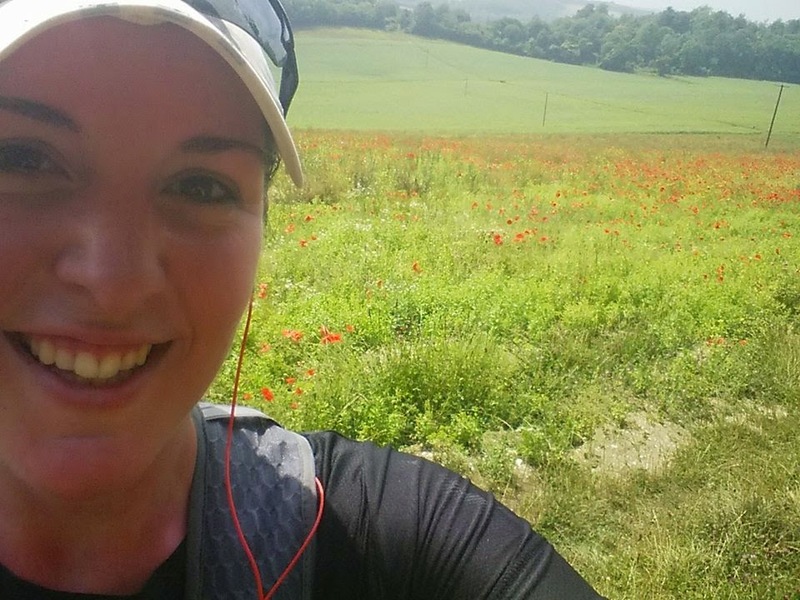 The course was a bit hilly and so felt very challenging, especially in the hot weather that we had, but it was fantastic – absolutely stunning countryside with fields of beautiful wild flowers, a section through woodland, crop fields, a bit of mud…it was perfect for me and I loved it. It helped that lots of friends were running too, and being a lapped event, you saw everyone a few times - it was all very social and cheery. The bespoke medal is particularly special, one of the favourites in my collection, and Ranscombe has dropped into my top 5 races. If a permit is granted for next year, I will definitely be back. 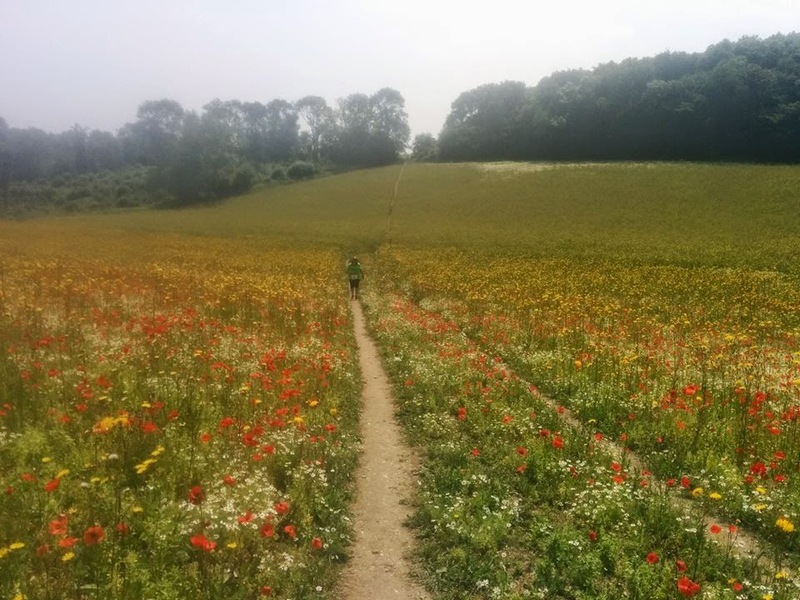 As a result of managing Ranscombe on very little recent training, I wasn't spurred into getting back on course with my mid-week runs, and I really fell off the wagon. 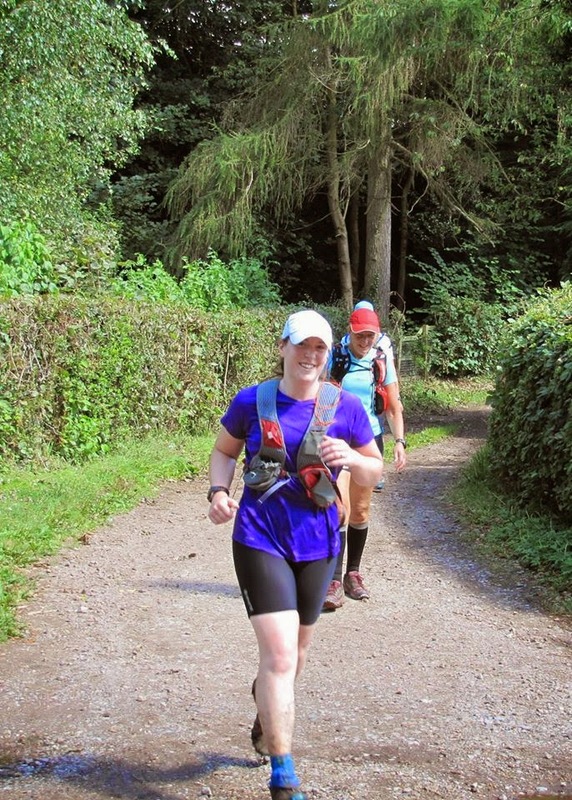 Just sat on the sofa every night, stuffing my face with junk :( Despite this, the next race was still there to be run...I couldn't miss it, especially as I'd booked it on my birthday...XNRG's 50km Chiltern Challenge. 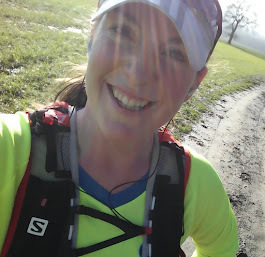 It had been billed as a “beginners ultra” in the Chiltern Hills, with a start point in Princes Risborough, a town just a few miles from where I grew up. As I was going to be in the area, I made plans with my mum in the afternoon (for birthday cake!) 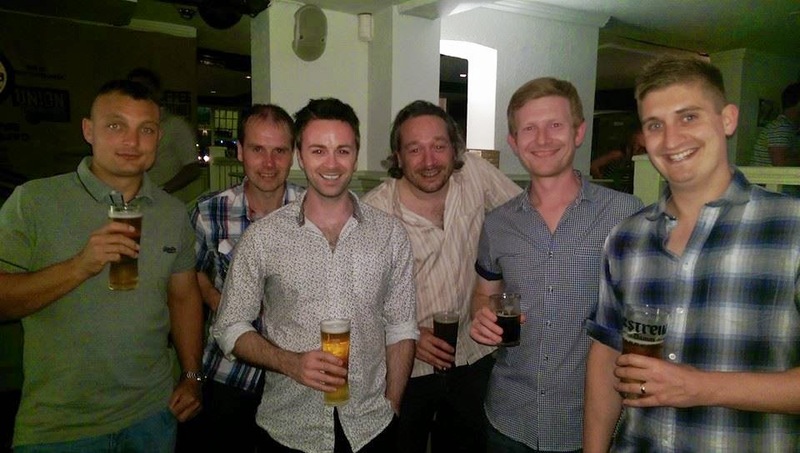 and with my oldest friends for dinner, drinks & dancing in the evening, assuming that as this would be an event for new ultra runners, an experienced runner like me should easily be able to run the 30 odd miles of the race, and still be up for partying that night. How wrong I was. What a wake up call it would be, as to how much my fitness has fallen recently. This was not an easy ultra by any means. It was very hilly (which, in hindsight, it was always going to be, as it was up and down the Chilterns!) and this is where my lack of fitness let me down. I rarely felt like I was running comfortably and walked a lot more than I had planned to. It was also incredibly hot. The forecast had said that it would probably be mid-twenties, with very heavy rain storms. Possibly hail and flash flooding. It sounded a bit biblical but I was prepared for it and comfortable with the idea that I may get washed away! What actually happened was some mild drizzle while we waited to start, replaced by searing heat and later scorching sunshine with no breeze at all. In fact, I came away from the race feeling like I'd been in a sauna for eight hours. I had to sit down a few times during the run just to try and give my body a chance to cool down. I remember running through a briefly shaded wooded area, until the path emerged onto another corn field we had to run across. Bright yellow sun, the golden corn, no shade...I stopped on the edge of the field just under the shade of the trees and could have cried at the prospect of more heat...but had to really force myself out into the sunshine. If I ever had any thoughts about running MDS, or any of the desert races, this definitely put paid to them. Throughout the race, I was very annoyed with my race pack, which just didn't seem to fit securely anymore and I had changed one of my bottles last minute but the one I brought didn't fit in the pocket of my vest properly and was bouncing around....and then my other bottle started leaking. This did mean that the new bottle could go inside the now emptied leaking bottle, which was good...but 500ml of water between each aid station wasn't ideal. The other problem was that Francis was picking me up at the finish of the race, to go over to my mum’s, and I had told him to be there for 4pm. I had expected to finish in 6 hours. 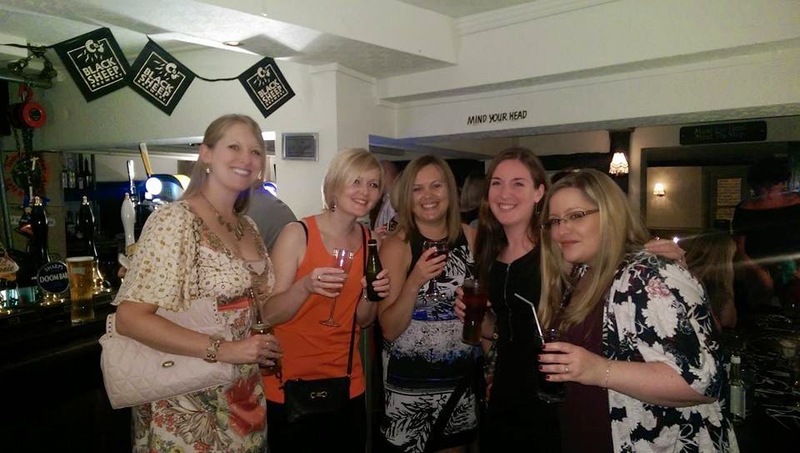 As my pace slowed, I got increasingly concerned about not arriving when I was expected, and about not having time to see my mum as planned, or to get ready for the evening. We had a restaurant table booked for 7:30pm…. The added pressure, the surprise of the hills, the unexpected temperature and lack of rain really messed with my mind and I just didn’t enjoy the race at all. It’s a shame that I struggled so much, as the countryside was absolutely beautiful, and it was nice to be running close to where I grew up. It was one of those races you put down to experience I suppose. I ran just under 32 hot and hilly miles, on my 32nd birthday in 6:51:43. I then went for birthday cake, then out for dinner, to the pub, and then clubbing, dragging myself to bed at about 3am! How my legs managed to get me dancing that night is still a mystery, but it was a brilliant end to a trying day!